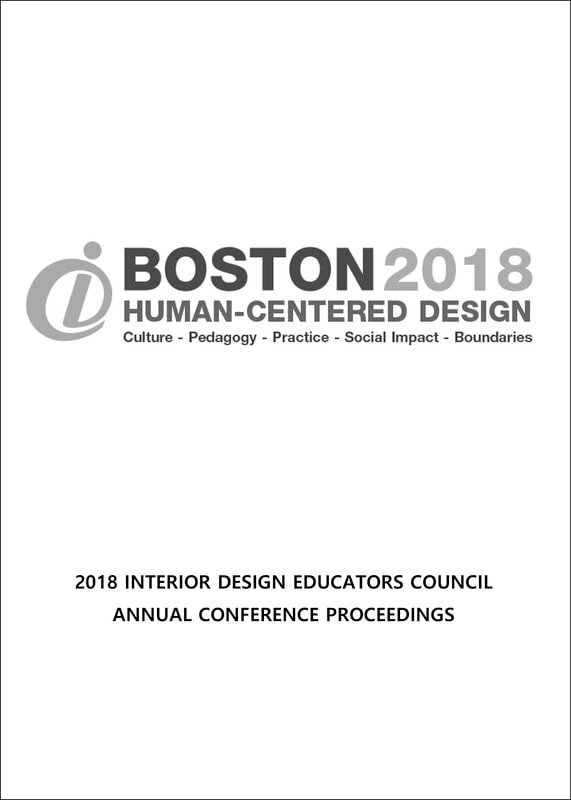 Click on the video above for an abbreviated version of the confer- ence presentation. Once opened, there is a full-screen option at the bottom right of the video. Abstract. “Connecting: Stairways to . . .” is a juried, site-specific installation in a community art center. It explores connections and expectations occurring while we view, approach and experience stairs, stairways and stairwells, ranging from stoops to grand staircases to elaborate escalators. There are three major components within this 1300 square foot installation: a cluster of five stele-like backlit pillars, an "escalator" with video monitors, and an array of 51 photos of stairs, escalators and elevators split between the galleries two end walls. The video A Day in Paris ​plays on all of the monitors and offers the viewer a series of unedited clips collected one day in Paris. The video begins with passage up and down escalators into and within Renzo Piano’s Centre Georges Pompidou, ending with a broken escalator that became a clunky stairwell. The videos then move the viewer into I.M. Pei’s Pyramide du Louvre to take an escalator down to the museum’s entrance. Next, passage is offered on elevators in Jean Nouvel's Institut du Monde Arabe. Finally, the viewer takes stairs up from a Paris Metro and encounters a jocular street musician. The second major component of Connecting… is an array of more than 50 photographs of stairs, stairways, stairwells, escalators and elevators stepping up and wrapping across the walls around the escalator at one end of the gallery and the pillars at the other (see below). 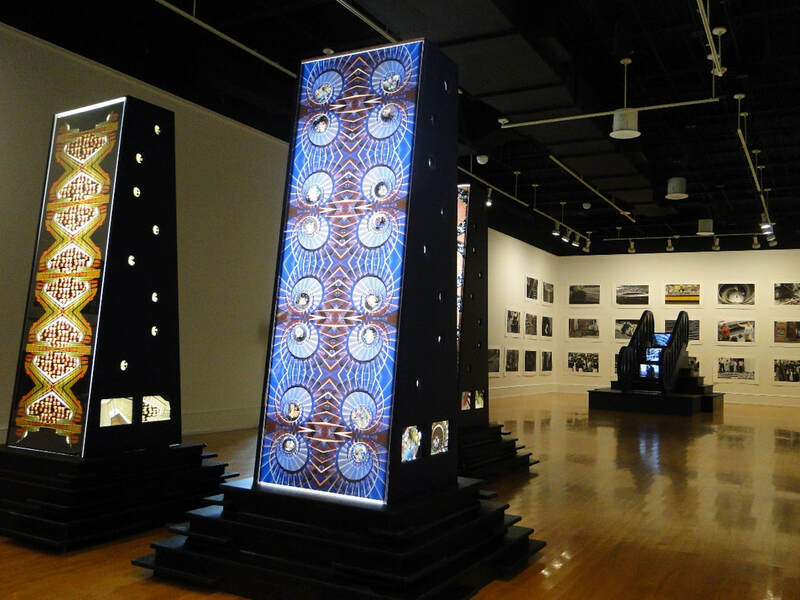 ​The third and the major part of this installation is a chevron of five stele-like pillars, each measuring 52’W 52”D 84”H and each having two 24”W 72”H backlit panels. The pillars jut forward in a chevron that pushes on the viewer entering the gallery. From the entrance the viewer can only see the real coloring of the stairs and the views beyond. The front image on each pillar superimposes an abstracted and reconfigured image looking down into a stairwell with unexpected objects at the base. As the view walks towards the end of the gallery the pillars push towards the gallery wall, pressing on the viewer’s psyche. After being forced into the corners of the gallery because to the size of the pillars, the contrasting backs are revealed, offering an altered view of each pillar.